On Saturday, March 16, 2019, The New York Times ran an editorial with this headline: "Why Does the U.S. Put Us at Such Risk?" The editorial discussed the different approaches taken by various nations after it appeared that there might be a fundamental flaw in the Boeing 737 Max aircraft, pictured above. The Boeing 737 Max aircraft is a new model. It has some unique, software-driven features related to efforts to prevent aircraft stalls and to stabilize the aircraft in flight. These automated features of the plane have not been very thoroughly tested in real life situations, simply because the plane is such a new model, just now being introduced into regular passenger service. Those new, software-driven features, involving the plane's automatic stabilizers, may have caused an Ethiopian Airlines plane to crash, on March 10, 2019. 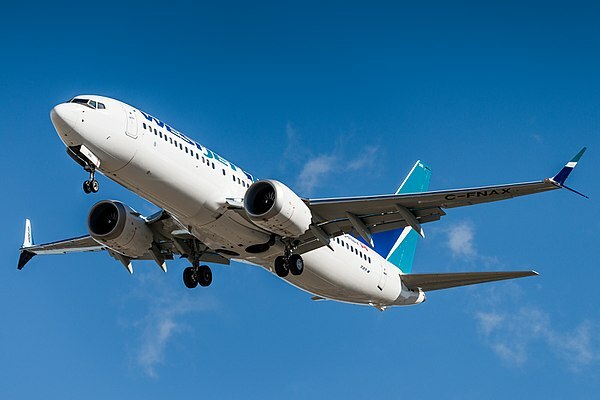 The Ethiopian Air crash killed all of the 157 people on board, and followed what appears to have been a very similar crash of a Boeing 737 Max plane operated by Lion Airlines. The Lion Airlines crash occurred on October 29, 2018. 189 persons, including the entire flight crew, died in that crash. I have written a number of blog postings advocating for the use of the "precautionary principle" as the right guide to action, as we make decisions about what we should do when something "new" is being proposed. Do we want to allow a new pesticide to be applied to the crops that we are going to eat? What will that pesticide do to us? What will it do to the bees? We should know before we start spraying. The whole idea behind CEQA, the California Environmental Quality Act, and NEPA, the National Environmental Policy Act, is that we need to "stop and think" before we do something that might have some adverse impacts. That is the "precautionary principle" at work. This recent Times' editorial highlights the choice involved. Other nations suspended the flight of a new aircraft model beause they "didn't know" if there might be a fundamental flaw. The United States' initial reaction was to allow the planes to continue to fly because regulators "didn't know" that there was such a flaw. The "precautionary principle" puts the burden of proof on those proposing to do something new, if there might be some danger. The United States regulates by putting the burden of proof on those who would oppose something new, making them have to prove that there is some danger. Naturally, I'd argue for the European (precautionary) approach. What struck me most forcefully, though, in what the FAA Acting Administrator said, is his characterization of the FAA as an organization that makes decisions on "what we know." If we really want to make decisions on the basis of "what we know," then we will have to utilize the precautionary principle, because if there is one thing we definitely "know," it is that we "don't know" an awful lot!